There are so many Baseball Hall of Fame Elections that sometimes it is hard to keep track of them. There are two that are taking place right now. The annual January baseball writers’ election and the 2018 Modern Baseball Era vote that will take place in a week. There are 10 people on that ballot, nine players and one guy who helped the players break the bonds of not having a say in where they played because of the reserve clause. 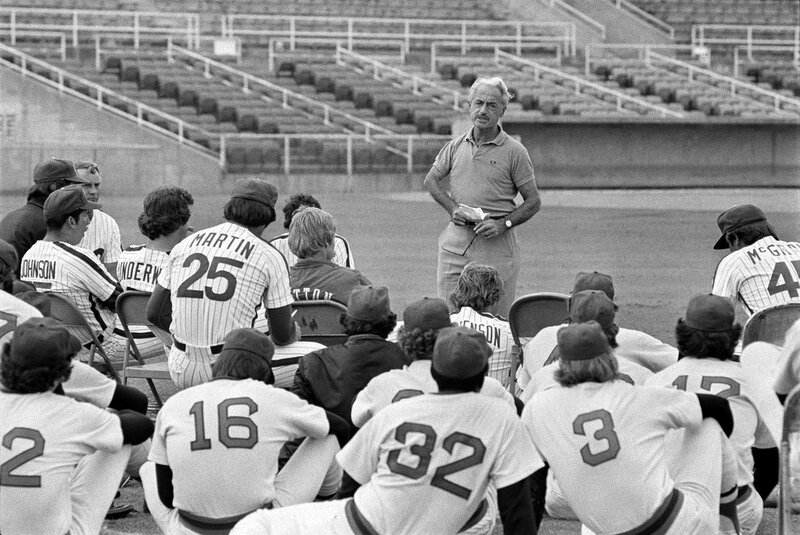 The Executive Director of the Major League Baseball Players Association in the 1960s, 1970s and 1980s, was Marvin Miller. Miller deserves official recognition. Where to put his plaque in Cooperstown should be the only problem museum workers have. He doesn’t really fit into any category. But Miller remains a problem for some of the older baseball fans, anyone older than the average baseball fans age of 57. Miller upset the traditional rule of baseball order. It is claimed because of him, ticket prices went up and fans continuity was gone. It took Miller nearly a decade to get free agency for the players. In October, 1975 with Miller’s guidance, Dave McNally and Andy Messersmith presented a case before an arbitrator that they should not be tied to an organization forever. It was Peter Seitz who ruled that a player could become a free agent had that player not signed a contract but was forced to continue playing for that team for a year. McNally and Messersmith worked the 1975 season without a contract. The owners had lost the mechanism they had used since the 1880s to control a player. Miller led the players to strikes in 1972 and 1981. He won major benefits and that caused resented among the owners, among front office personal, baseball writers and the fans. The industry norms were eradicated. Older fans want their game back. Miller should have a plaque in Cooperstown.